No software installation required. YouBIM is accessible via a secured web browser connection. Homepage includes customize able Widgets that allow a quick overview of the Facilities performance, Work orders status, alarms, etc. without having to leave the Homepage. 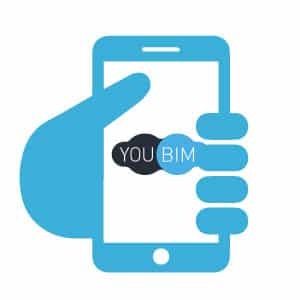 YouBIM counts with a Mobile Application that allows easily retrieving Assets information and location, through a Search, Scan of QR Code or even Voice it. Work Orders can also be created and updated, and all synchronizes with YouBIM central Database.